Skeel – An unusual and widely mis-spelt ancestral surname that appears to have roots in 18th Century Middlesex, is this week’s Surname Saturday themed post. An unusual and widely mis-spelt ancestral surname that appears to have roots in 18th Century Middlesex. 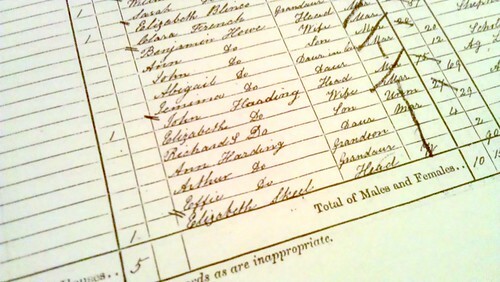 My most recent Skeel ancestor, Elizabeth, was my 4x Great Grandmother. She was born in 1802 in the village of Swaffham Bulbeck, Cambridgeshire, and was the oldest of a total of ten children – her parents having married the year before her birth. 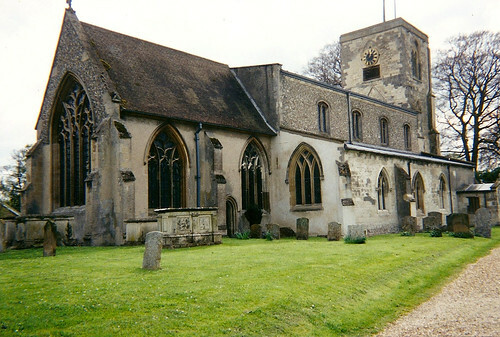 St Mary’s church, Swaffham Bulbeck, Cambridgeshire. Elizabeth’s parents were Job Skeel and Elizabeth Richardson. Whilst Elizabeth was born and died in Swaffham Bulbeck (c.1781 – November 1872), Job’s origins were from outside this small village community, although he ended his days there in July 1860. The only clue so far, as to Job Skeel‘s origins comes from the 1851 census (his last) – where it is noted that he is a ‘former Horse Breaker’ and was born Brentford, Middlesex (now part of modern-day Greater London). If his age was correct in 1851 (74 years), it means that he would have been born in approximately 1777. In 1841, Job is noted as a ‘Fishmonger’ and because this census simply asks if the person was from within the county, it simply says ‘N’ for no. Whilst there are many Skeels in and around Middlesex during the 1770s, there are also Skeels in Great Yarmouth, Norfolk – where a Job Skeels (of William and Mary) is baptised in 1777, and closer still to Swaffham Bulbeck, the surname appears in Chatteris, Cambridgeshire. Great Yarmouth might have been where Job lived after his birth, because this would perhaps support why he’d become a fishmonger – with Great Yarmouth having been a major fishing port until it’s decline in the latter part of the 20th Century. It is therefore unclear as to where his family were from, and whether they had only been in Brentford for a short while, having come from Norfolk or Cambridgeshire previously. Further research of either the Brentford or Great Yarmouth parish registers may help to confirm his parents, and whether he had any siblings. For now, it remains a mystery. The surname attracts a number of variants – possibly due to illiteracy, or maybe due to regional accents (perhaps further support of the potential Norfolk connection? ).